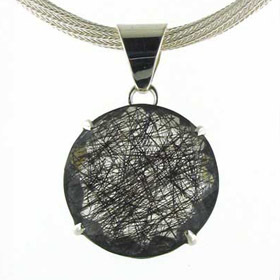 This is no ordinary quartz! 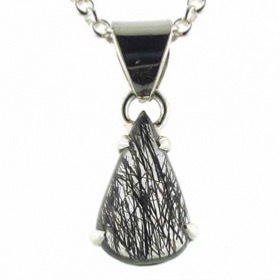 The black tourmaline needles suspended inside the clear quartz can be fine and frenetic or chunky and sparse. 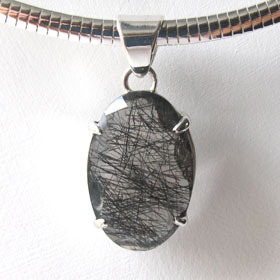 Our pendants are available in faceted and unfaceted, polished stones (cabochons). 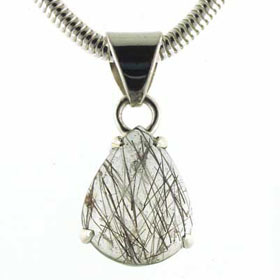 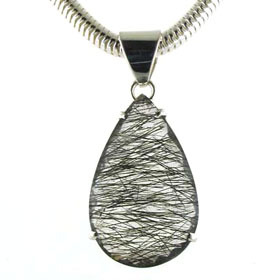 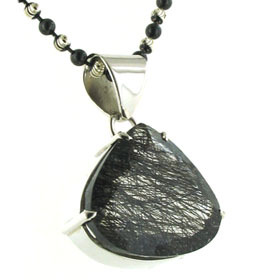 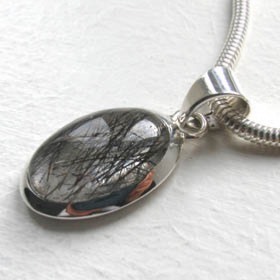 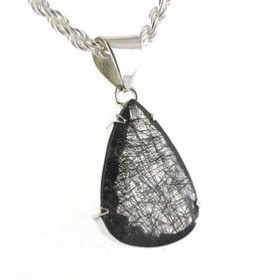 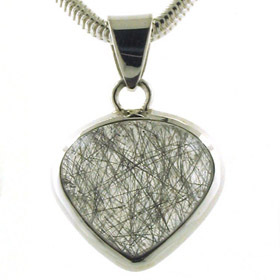 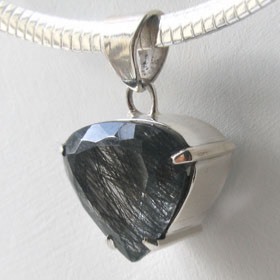 Each black rutilated quartz pendant is unique. 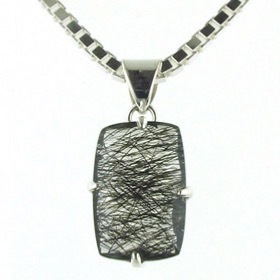 Team up with one of our Italian sterling silver chains and a pair of black rutilated quartz earrings.